The Kittiwake is a real seabird. Inland, you will hardly see this gull. 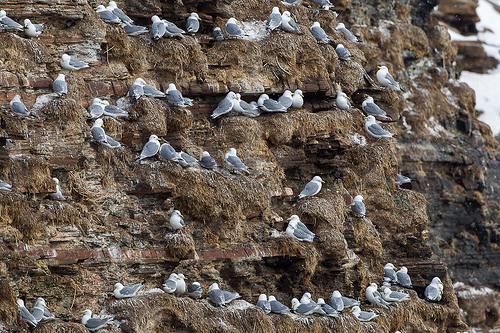 The bird nests in large colonies on high cliffs along the coast. At the tip of the wing, it has a small black triangle. 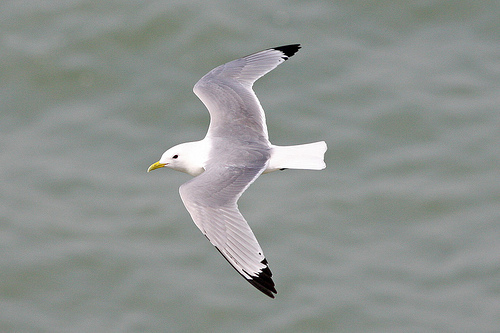 The Kittiwake lacks the black head in summer and has a distinctive black triangle at the end of the wings. 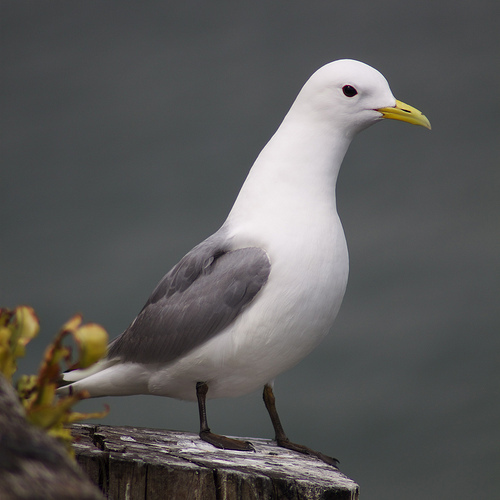 The Kittiwake is smaller than the Mew Gull and has dark legs.